A mattress is made up of multiple layer assembly. Bound substrates can be non- woven fabric that wraps pocket spring, foam, breathe cotton, blanket, and other cotton fabrics. This can be proceeded by solvent free adhesives or eco-friendly hot melt adhesives. 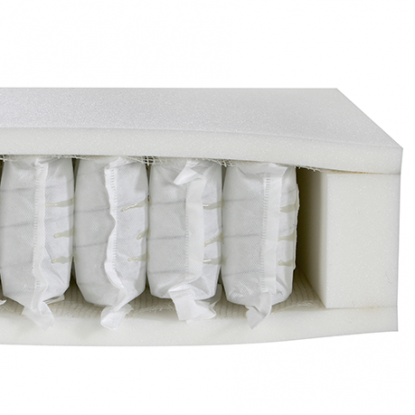 Three major applications of hot melt adhesives in mattress are top & bottom layer foam bonding, mattress assembly, and different layer material bonding. Pocket spring glues are used for bonding non-woven fabrics that wrap pocket springs, which would be connected together until completing matching the area requirement of a mattress. The requirements of this operations are not too fast setting time, moderate viscosity, no dripping, fast setting time, and flexible glues. White and low odor, fat setting, no dripping, workable for different operations with different equipment, no cracking in winter. White and low odor, no wire drawing, easily melted, better glue mileage, good thermal stability. Workable for different types of mattress material bonding, foam bonding, mattress assembly and different layer bonding. Foam bonding, mattress assembly and different layer bonding.